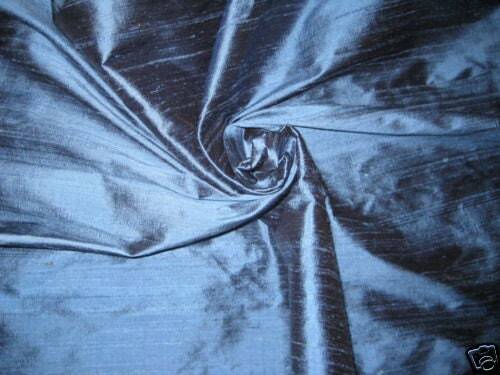 Perfect Blue dupioni silk fabric. Brand New High-End Dupioni Silk Fabric Yardage. 45 inches wide. So pretty and just what I was looking for. Super fast shipping. Great transaction. The colours are incredible with this Dupioni. silk...excellent quality and excellent vendor communication. will order again. Gorgeous color, and, as always, promptly shipped. Absolutely gorgeous, lovely fabric! Love the shimmer! Very nice colour. Shipping can be long with the USPS first class mail.